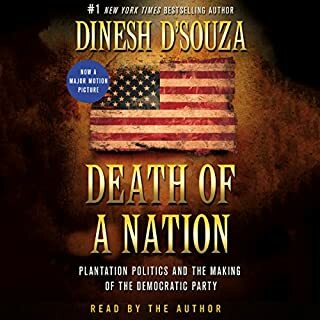 I have read many of D’Souza’s books and this is one of the best and most prescient. His indictment of the Democrat Party is well substantiated. What I would like is for all of the Trump haters and Democrat party foot soldiers to read it and realize that THEY are not the racists nor the subjugators but they are the enablers of this horrible crime against humanity. It is not too late for them to join the true party of freedom and equality. All they need do is repudiate the D and vote R for a real change. Give it two cycles and see what can happen. They can start by listening to this book as an antidote to the poison they have been fed for decades. What harm can be done by entertaining an opposing viewpoint? A story everyone should know. The insidious silencing of unwelcome opinions by the illiberal left is rarely mentioned in the media or even by the punditry. It is high time that everyone put these malcontents in their place. 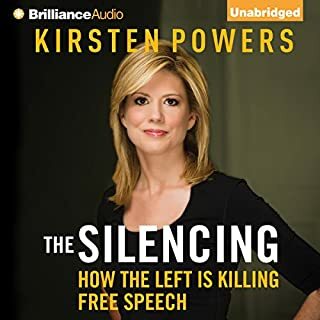 Thank you Kirsten Powers for having the fortitude to put it out there for the good of us all. Very eye opening and engaging! This book underscores what I believe has gone wrong with America. While describing how we got where we are, he doesn't play the blame game (and there is plenty of blame to go around on both sides). This book gives ideas on how to fix the problems. It is actually an uplifting view of how things can get better if we recognize the problems. 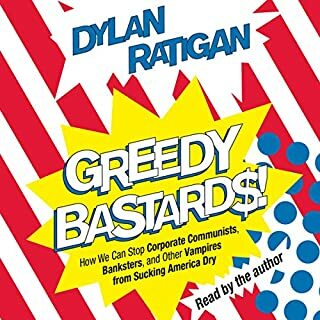 However, the "looters" of the upper-upper class who provide absolutely NO value through their business transactions will be none too happy if Dylan's ideas get adopted. Have you listened to any of Dylan Ratigan’s other performances before? How does this one compare? No, but because Dylan reads his own material, he is able to bring emphasis and life to the words. The recent history of the creation of "creative financial instruments". It is very instructive and underscores the point that if you intend to punish by taking a birthright away, people will find ways to get it back... and then some. I am a non-fiction guy. I read (listen to) a lot of business books, history books and opinion based on fact (!) books, so it was rather odd that I purchased this nove. I had seen a very glowing review of it in National Review, so it caught my interest. I had just finished Ayn Rand's 51 hour epic, Atlas Shrugged, so I wasn't sure I was up for another stemwinder. Some of the reviews of this audiobook disparaged David LeDoux's reading of it, especially his rendition of Lalitha, the Bengali girlfriend of Walter. Her voice was a bit contrived, but it was actually not a bad version of a man's Indian accent (albeit a man with a tenor voice.) Seriously, I thought his manner of speaking was soooooooo totally well-done. Some narrators just speak the words, others attempt to bring life to the words while not attempting to actually sound like the character, but LeDoux does it all and it really helped me make it through a 24 hour book. Rather than review the substance of the book, which has already been well covered, I wanted to comment on the form. As an audiobook, I found it a bit tough to follow the timeline as well as some of the characters of the novel. 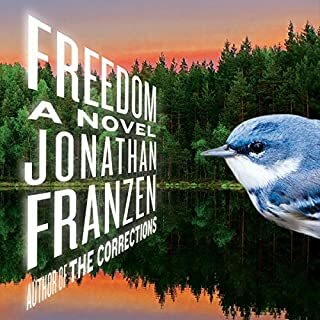 Franzen's use of time shifting, sometimes in remembrances, sometimes in just seemingly random storyline movements were confusing to this listener. Also, in one chapter near the end when Patty was dealing with her family, the names became almost overwhelming to place without having a visual marker by which to sort them, but such is a hazard of audiobooks. 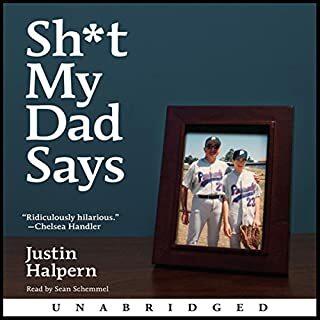 A self-depricating look at his life growing up, Justin Halpern has written a book that made me chuckle, smirk, and occasionally laugh out loud listening to it. I have known people like his father and that fact made this book all the more enjoyable. Not for the prudish, it is a great listen and it made me remember that childhood was a traumatic, emotional experience best laughed at than cried about. Internal Combustion is the compelling tale of corruption and manipulation that subjected the U.S. and the world to an oil addiction that could have been avoided, that was never necessary, and that could be ended not in 10 years, not in five years, but today. Award-winning author Edwin Black has mined scores of corporate and government archives to assemble thousands of previously uncovered and long-forgotten documents and studies bearing on this dramatic story. If any book I have listened to cries out for abridgement, this is it. Having said that, I think that the reviewers above who bailed out on this tome missed out. 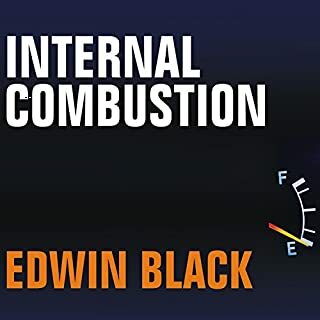 Edwin Black provides a superbly researched (to the extent that you can believe anything that anyone writes) walk through the history of corruption and manipulation of energy production in this world. While I think that we all have a 'bumper sticker awareness' of Standard Oil, GM ruining the trolleys, cartels, antitrust breakups and such, this book gives us the back story on these and many other events that have shaped our current energy situation. Interestingly, even though he does not try to hide his disdain for all things hydrocarbon and it sure sounds like Mr. Black is a green treehugger, his passion does not overwhelm his story like it would if it had been written by Michael Moore or some correspondent from the Huffington Post. I am a conservative who totally believes in the free market and this is where he hooked me... by showing how most of the energy problems we now face can be traced back to manipulation of the markets for profit on a grand scale. The question I have (and one he cannot answer) is: are we (as a free market) mature enough in 2008 to make big decisions about what type of energy we want and are willing to pay for, free of manipulation by business OR government? The final hour or so where he discusses new fuel technologies could stand on its own as an essay, and I found it very valuable. His discussion of Hydrogen fueled vehicles was particularly enlightening, since most of the current popular attention has been drawn toward hybrid or plug-in technology. I recommend the book if you have 16 hours to spend on it, but since I am a Platinum Subscriber, and this book was only $10 for me, the final hour would have been worth the price of the download. I think that it could be even more successful if it was re-released as an abridged version.